This year, hundreds of schools throughout the nation will make a commitment to help find a cure for cancer by participating in The Leukemia & Lymphoma Society’s (LLUSA) Pennies for Patients fundraiser. Our school, Connell High School, will also be participating. 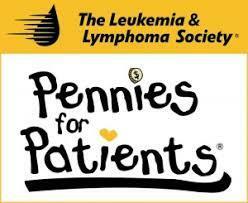 Pennies for Patients provides students with the opportunity to learn about service, teamwork, leadership, philanthropy and the opportunity to see first-hand how their involvement can make a difference in aiding thousands of children and adults fight leukemia and lymphoma. To reward our students for their efforts in making a difference, we have set up a series of goals and prizes that they will receive once they have raised certain dollar amounts. Last year the Connell High School ASB hosted a live professional wrestling match featuring two of Connell High’s teachers, starring as Hulk Hogan and Sting. Not only did this prize invigorate our students in reaching our goal, but the match also gained national attention, being featured in USA Today, the Tri City Herald, KVEW TV, even receiving acknowledgments by LLUSA and WWE legend and social media icon himself, Hulk Hogan! Coming this March, the stakes are higher than ever with a new goal and bigger incentives. By popular demand, on March, 23, 2018, CHS will again be hosting its second annual Connell Wrestle Mania: Body Slam Cancer event. With almost 1500 students and community members planning to attend, we are offering the opportunity for local businesses and community members to become a part of the action. The match will start at 2:15pm on the 23rd, with doors opening at 1:30pm. Both students and the general public are welcome. Suggested donations will be taken at the door. So all you wrestling fans… LETS GET READY TO RUMBLE and help #NFSDBodyslamsCancer!